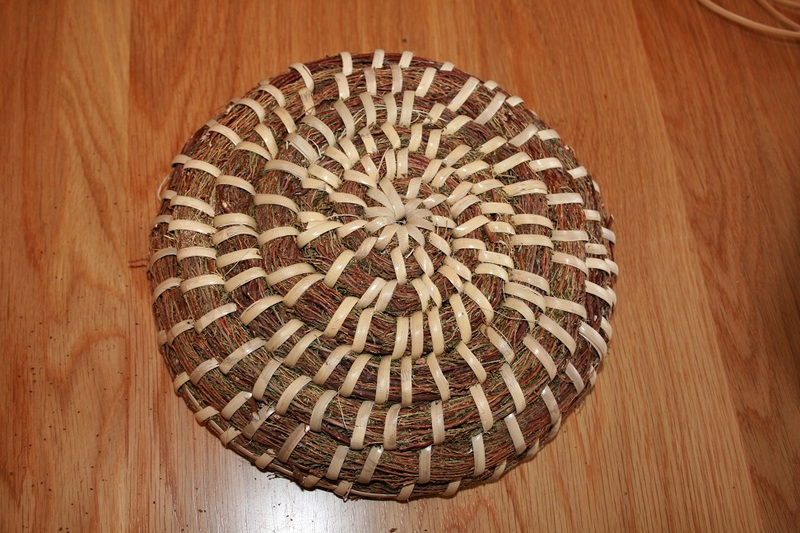 Here’s how to add a new cane to your skep and make a join that is nearly invisible. 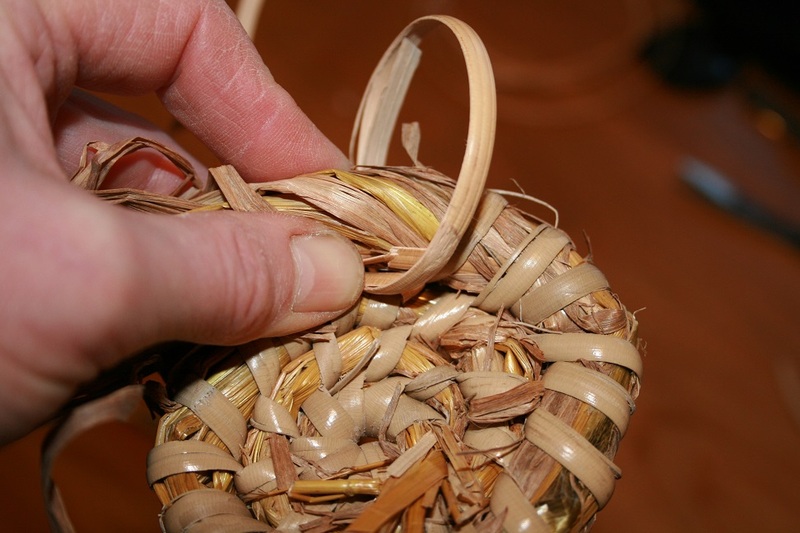 This is the start of an oat straw skep with rattan lapping cane binding. Click each photo for a close up. 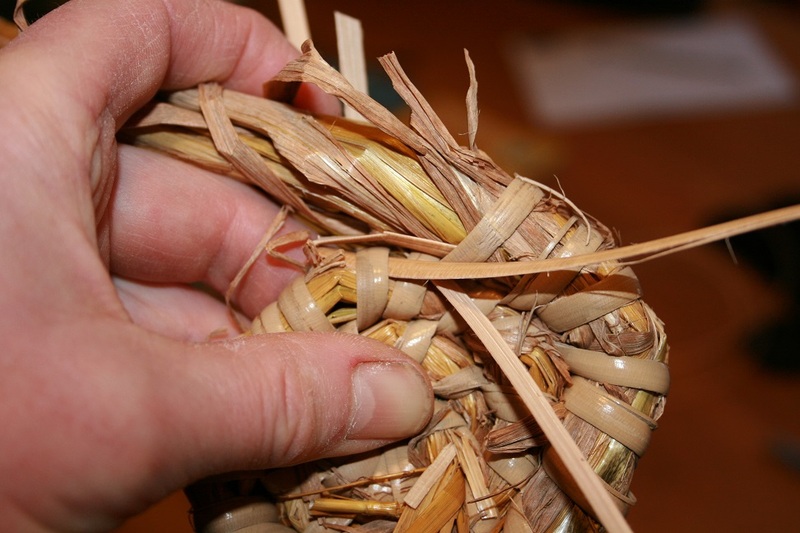 Cut the old cane so there is just enough left to tuck into the coil – see black line. Push the business-end of the new cane under the last of the old cane (1). 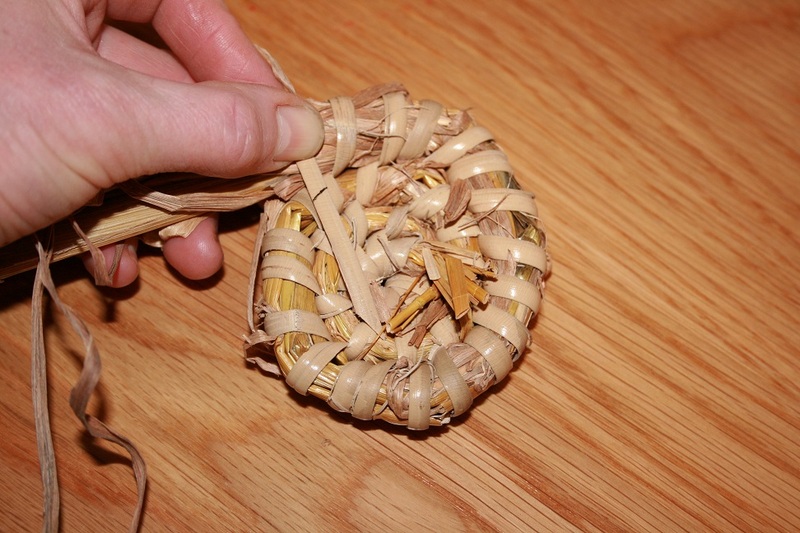 Push the tail-end of the new cane under the adjacent stitch on the previous coil (2). 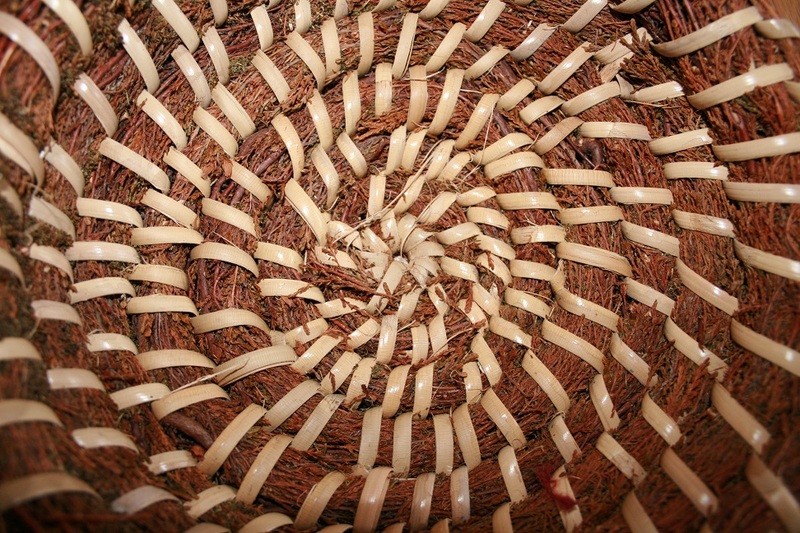 Let’s call this the ‘anchor stitch’. Fold about an inch of the tail-end back on itself and tuck it as far as it will go under the last stitch and into the top coil. 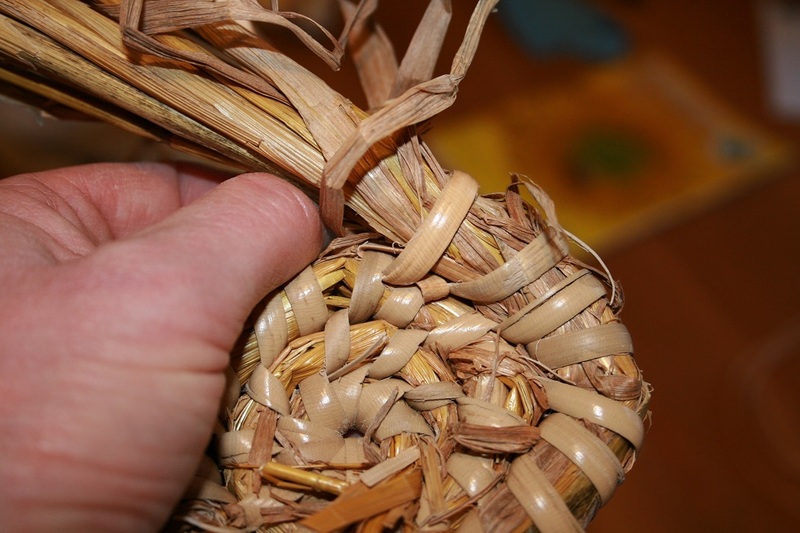 Thrust your bodkin, gimlet or marlin spike diagonally under the anchor stitch thus. 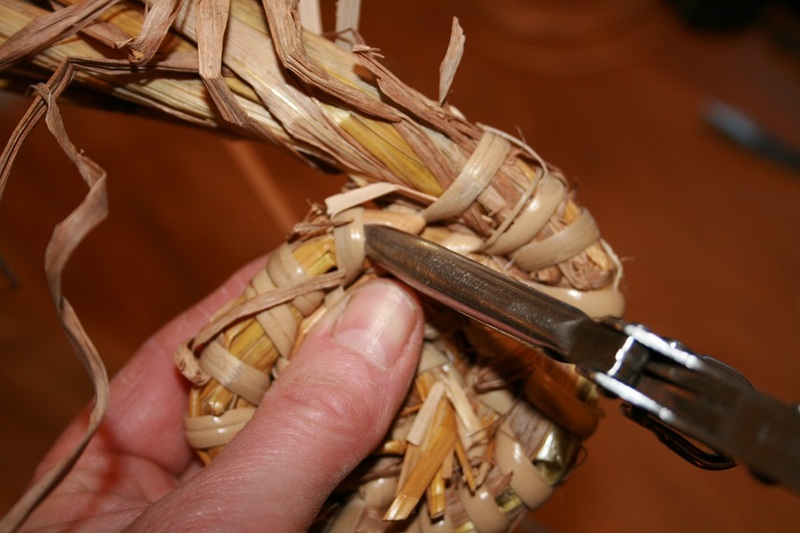 Push the business end of your new cane where your bodkin was and pull it tight. 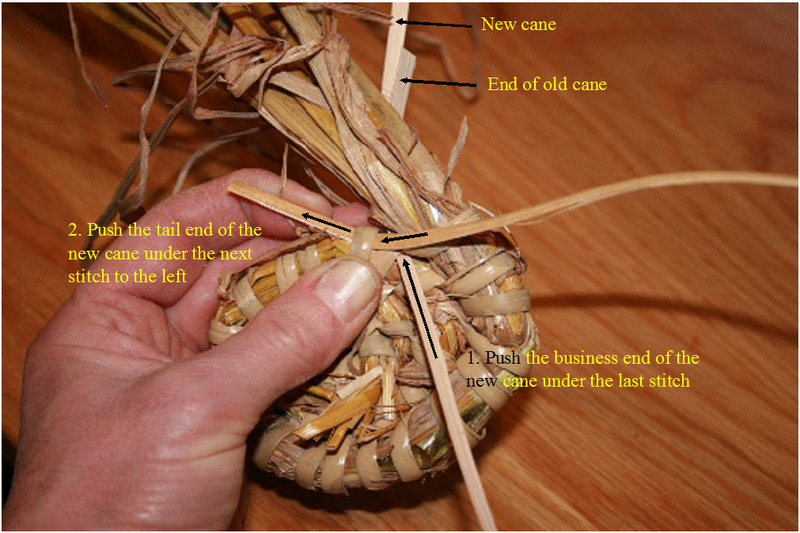 This is the first stitch of new cane – it should enclose the last of the old cane and pull the tip out of sight under the aforementioned anchor stitch. You may need your long-nosed pliers to align the two layers of cane here and get the tip to go properly home. … but just visible on the inside. Previous PostHow to Feed a Winter ApideaNext PostWhich Frames?